Thank you for visiting my blog. 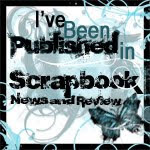 Here is the place where you will find out what I do with my "scraps of time". Here is a quick update but I will be back in a day or so with more info. First, I apologize that it has been over a year since I posted on this blog. So many things have happened in my life that are just too many to list. Many of you know of the various situations and have prayed and continued to pray for myself and my family. I thank you for that. The power of prayer is great. This will remain my personal blog and I will start updating on a regular basis. But I will invite you all to visit my new blog as soon as I post the information here. I am pleased and proud to announce the opening of my new business, Make it Yours. It is located in a building next to my house in Welton, Iowa. I am a brick and mortar store and will specialize in scrapbooking, paper crafts and mixed media arts. I will also be featuring items from Vintaj Brass Company in the very near future. I will be hosting classes and workshops and lots of fun things so stay tuned for more info. Thank you and I hope you will continue to follow me here as well as my new blog, once it has been launched. I am back!!! And I have a new MemoryWorks Personal Consultant Website! I have been away for quite a while. Mostly because I took a break from crafting this summer and spent a lot of time with the kids at the pool or travelling. But I am back and should be up to par again soon. I want to start by giving you the address for my MemoryWorks Personal Consultant Website. There you can view and order our products and/or book a party (on line parties are fine). I will be updating the site with lots of goodies in the next few weeks too. So thanks for hanging in there and I will be back soon! That’s Hot! Blog Hop…. Welcome! Here it is, the moment we have all been waiting for! Our day of some fun blog hopping. Today you will see a wide array of projects that are “HOT”. Enjoy the hop and please be sure to leave comments for each of the participants, we LOVE comments. Feel free to become followers of our blogs too, if you wish. Thanks for stopping by! If you came from Debbie you are right on track. If you are just stopping here please go back to Yolie, our first stop on the hop and follow the order from there. Here is my That’s Hot! layout. This shows my husband and son about 10 years ago. I thought it was so sweet that hubby set up a tent and got all the bath tub toys out and got in the pool with him. My son, Griffin was afraid of water so this was a big deal, no tears here. I used American Crafts summer collection appropriately called Heat Wave. I also got out the stickles because I don’t do too much without them! I couldn’t resist adding some of my favorite button embellishments either so they could “float” in the waves. A Reminder About That’s Hot Blog Hop This Saturday! Hi to my blog friends! 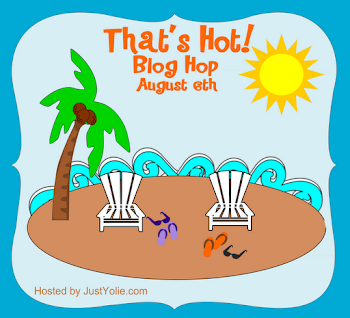 First I will remind you that the That’s Hot Blog Hop starts this Saturday, August 6 at 2 a.m. central. 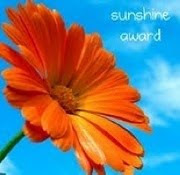 I am a part of this wonderful hop so please stop by here to see what I have made to share with you. 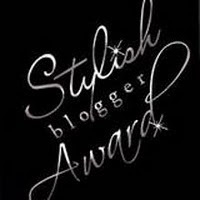 We have a wonderful line-up of blog participants and our ever wonderful and talented hostess is Yolie from JustYolie.com Please stop by and be sure to start at the beginning which is of course, Yolie’s blog. Be sure to leave all of us lots of love a long the way, we appreciate that. On to other matters…. we survived the Clinton County Fair in mid-July. I got all blue ribbons for my creations that I entered which will be posted later today, hopefully. They were 3 double-layouts, 3 single layouts and also 3 photographs that were taken on my vacation. My children did well too. I am so proud of all 3 of them. Griffin, who just finished 7th grade, entered a trio of photos that he took at the Quad City Air Show in June. The pictures are some very awesome aerial shots of non other than the Navy’s own Blue Angels. His photo trio, which was cleverly matted, got State Fair consideration. That was so exciting because he had never used the camera before that day (it was my new one). He has a very good eye for picture taking. This was his 3rd year in 4H and the fair. The twins also did well and it was their first year to be in 4H and be judged. They had previously been in Clover Kids which is for K-3 but are not judged, and only got participation ribbons those years. However, this year Gretchen did a decopauge project out of a wooden letter G for her room and got a red ribbon (though I really don’t agree with the comments she was given- but live and learn) and her photo that she also used my camera for the first time, took a blue ribbon. Gillian entered a wonderful project that was done for school in the spring. It was a state float and was very well researched and put together. She got a blue ribbon. School starts in just 13 days here. I hope the heat will subside because not all the kids have air conditioning in the school right now. We have had over 2 weeks of 90 plus heat and it is miserable. We actually found it too hot to go to the pool, as did many around our area. Several city pools dumped ice in the water to cool it down but a few of them had to close because even that didn’t work! Griffin is in Colorado with 14 other members of our church’s youth. They are in Estes Park at a Youth Conference for our denomination which is CLB or Church of the Lutheran Bretheran . I know they are having a wonderful time. They are expected back late Sunday, as it is a 14 hour plus drive. Thanks go to our Youth Pastor Jason and Youth Coordinator, Pam for driving this lively bunch out and back and giving them such a wonderful experience. The best part about the trip that Griffin is taking is that he almost didn’t get to go. Just a week before they were to leave he had a pretty bad seizure and it was the first one in almost 2 1/2 years. We did a lot of praying and decided that he would be ok to still attend the conference. He is ok and as long as he doesn’t forget to take his meds, he should continue to remain ok. I know it scared him so I think he understands that when we ask if he took his medicine he better not say yes when he means no. It is so hard with a 13 1/2 year old because you constantly remind him and he gets a little angry and then you decide to let him to let him be responsible on his own and he slips up and HE pays the price. Well, talk to you later. 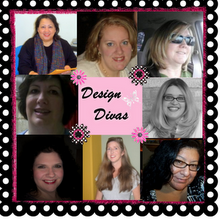 Don’t forget the Blog Hop! Sorry I have been away…. Hey Blog Followers! I am still here, just not “here”. Summer has taken over my life. Well, my kids and summer that is. We have spent a week in Florida and did 6 parks in 6 days and now we are right in the middle of county fair. Stay tuned I will be back in August. Be sure to join me for the That’s Hot Blog Hop! Welcome to the Glitter Explosion Blog Hop! This hop will have projects that are all sparkling with glitter. Please be sure to make it all the way through the hop. 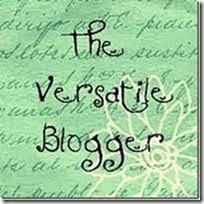 You should have come to my blog hop from http://angie-scrappinmemories.blogspot.com/ . If you didn't please make sure you go to the start of the hop at Just Yolie so you won't miss out on a thing. There will be candy on the hop. Look at those clothes from the 1970’s! Peace, Love and GLITTER! A Close-Up on my Groovy Paper. There is glitter on the flowers, peace signs and stripes! The title of my layout is “Those 70’s Friends”. The two pages show my same childhood friends throughout the 70’s. Most of the pictures are of my birthday parties. A close-up of my Petaloo glitter and bling flowers and more on my paper. I cut out flowers from the paper and popped them up, added more glitter and bling. with “Those 70’s Friends”. We got together on my birthday and in the summer as much as possible. chipboard pieces and glitter Thickers. A leak in my ceiling ruined the top of the 2nd page but I didn’t have time to re-do it, sorry. Sooooo…… That brings us to the last thing….. the line-up for the hop! Ann - http://annlenth.blogspot.com/ YOU ARE HERE!! Have fun hopping! Please become a follower of my blog – and the others on the hop would like you to follow them too! We ALL love comments too! I am a SAHM of 3 fantastic kids- Griffin who is 13 and twin girls Gretchen and Gillian who are 10. I live in Eastern Iowa, close to the Quad Cities. I have been married to my wonderful husband James for 16 years in August. I have 2 hobbies that I enjoy which are scrapbooking and other paper arts and genealogy. I do genealogy research for hire for others who may not have the same resources as me. I am also a consultant for Memory Works. 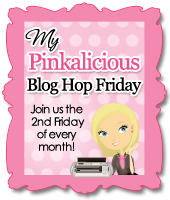 Check Out These Blog Hops!!! 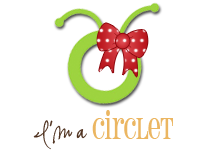 Are You a Cricut Circle Member? Ask Me How to Join or Click the Pic. My Virtual Kitty, Oreo... drag your mouse around him to play! I Am A MemoryWorks Consultant and I LOVE Simple Stories! On-line Publications that I Love! I was published in the January and June 2010 issues! Play Along with Me at These Happening Spots! Please visit and leave 'em some love! These are the Blogs I Love to Visit!! !